The Boy Scouts of America celebrated the achievements and advancements of younger Scout members at a Blue and Gold Ceremony at the Frenchville Community Center on Saturday. 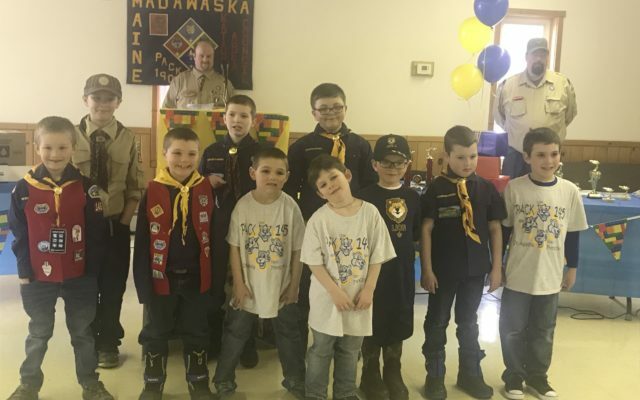 FRENCHVILLE, Maine — The Boy Scouts of America celebrated the achievements and advancements of younger Scout members at a Blue and Gold Ceremony at the Frenchville Community Center on Saturday. Sixty people including parents and Scouts of the Madawaska and Frenchville troops got together to honor the younger Scouts and their promotional advancements in the ranks. 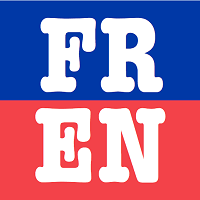 The progression of ranks begins with the lions for kindergarten students, tigers for first grade students, wolves for children around 8 years old, and bears for 9-year-olds. Webelos must have completed 3rd grade or be at least 10 years old. Next comes webelo II or arrow of light, after which Cub Scouts become Boy Scouts, according to Daigle. “I like the Cub Scouts because I like to be in the parades and go camping,” said 5-year-old Isaac. Melissa Paradis has two sons — Sam, a 7-year-old wolf Scout, and Simon, a 5-year-old lion Scout. Their father is an eagle Scout and den leader and started the boys at an early age. Paradis said Frenchville Pack 145 is a “really good representation” of the Scouts and that they work hard to get the requirements needed.